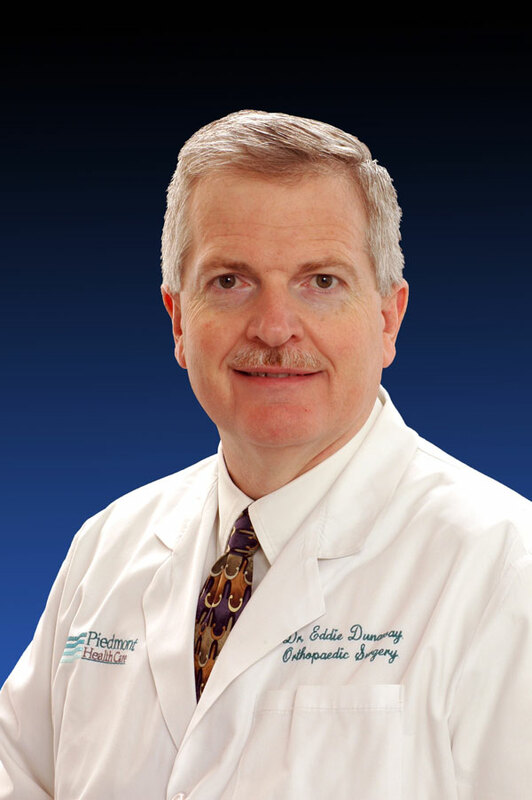 Byron Dunaway, MD is a board certified orthopaedic surgeon concentrating on disorders of the musculoskeletal system. His professional goal is to provide Iredell County with the highest level of orthopaedic care. He joined Piedmont HealthCare in 1989. Dr. Dunaway performs a number of procedures, including hip and knee replacement surgery, endoscopic carpal tunnel surgery, rotator cuff repair and other surgeries of the shoulder, elbow, hip and knee. He operates and takes trauma call at Lake Norman Regional Medical Center and Iredell Memorial Hospital. Community involvements include being a member of the Greater Statesville Chamber of Commerce, sponsor of the Iredell County Teacher Appreciation Banquet, Church, President of Medical Staff at Iredell Memorial Hospital, and member of the Board of Trustees at Mitchell Community College and Iredell Memorial Hospital. In his personal time, Dr. Dunaway enjoys spending time with his family and fishing.